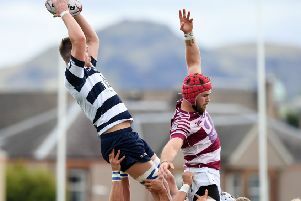 Heriot’s maintained their perfect start to the season with a third successive bonus-point win over an Accies side that simply had no answer to the all-round power of the Goldenacre outfit. The star man for the visitors was Craig Robertson, who crossed for six of the Heriot’s tries as they tore the home defence to shreds. For Accies it was a third successive defeat since their return to the top flight. They were caught cold in the opening minutes and by half-time were 45 points adrift. A brief flurry after the restart showed what the Raeburn Place side are capable of, but Heriot’s regained control and ultimately it became a procession. Jason Hill set the scoreboard ticking after only two minutes and by the interval the visitors had clocked up a further six tries. 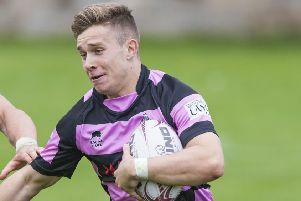 Robertson bagged a hat-trick and Rob Kay had a double, while Ross Jones concluded the first-half scoring as well as contributing five conversions. Accies restarted well and claimed tries through James Pearse and Callum Ramm, the latter converted by Jamie Loomes. However, the visitors regained the initiative and Robertson added three more to his tally, before Hill hammered his way over to complete the rout.